No reports have been published yet about the details of the meeting, Trend reports citing IRNA. 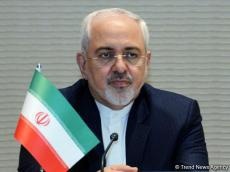 Zarif, who arrived in Istanbul, Turkey, on Thursday to attend the extraordinary meeting of the OIC, met Çavu?o?lu prior to the OIC event. The OIC meeting will review the recent terrorist attack against two mosques in New Zealand which claimed the lives of tens of Muslims and left 50 others injured.